Lotto Soudal's Tim Wellens is set to defend his title at Brabantse Pijl. The Belgian knows that he will be watched but trusts his good shape. The Belgian race will be 195.3 kilometres long with a start in Leuven and a finish in Overijse, over a course that features 31 hills. Wellens is prepared and looking forward to starting again in it. "Last week, I had to recover a bit after the Tour of Flanders, because it was a tough race," he commented. "I did my final hard training session on Sunday and my legs felt great. I had the same feeling last year, however, that is no guarantee of success. You always need to await the race itself. "The Tour of Flanders was not as good as I expected, but I want to confirm my excellent shape on Wednesday. I am happy to have participated in the Tour of Flanders, as I liked the experience. Finishing third in the Omloop Het Nieuwsblad was amazing for me. So I look back to the Flemish Classics in a satisfying way." The rider looks back to his victory with a bittersweet feeling. 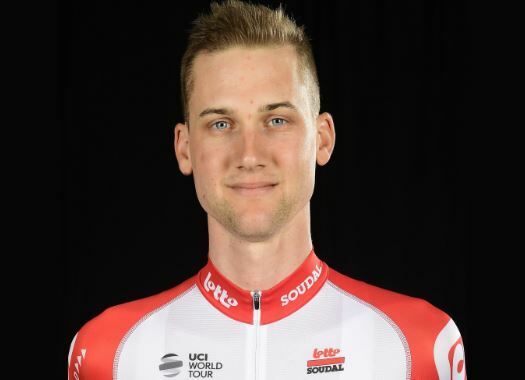 "Of course I have very nice memories of last year's Brabantse Pijl, but on the other hand that edition was dedicated to Michael Goolaerts, who died three days earlier," Wellens explained. "So I look back to it with mixed feelings, but surely that is a very nice victory on my palmares. I know the competition will look at me because I'm the defending champion, so maybe a teammate can exploit that. "Bjorg Lambrecht has already shown in the Tour of the Basque Country that he is in superb shape. I hope he can go along until the finale because his presence can mean a big advantage. Other favourites for me are Mathieu van der Poel and Julian Alaphilippe. I think they are the riders to beat."